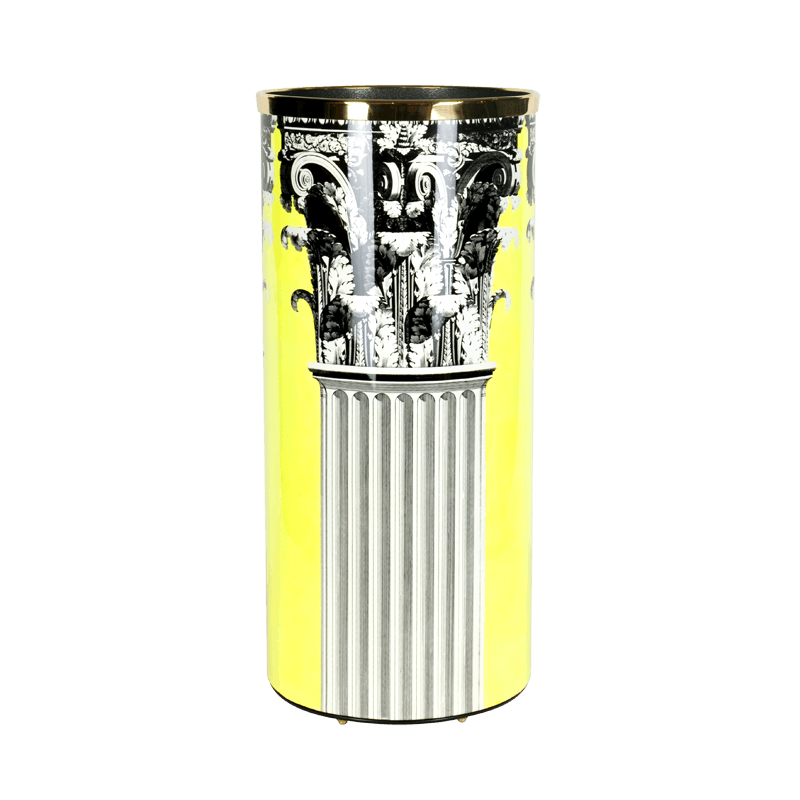 Wherever you may find shelter after a walk under the rain, make sure your umbrella stands in a Fornasetti Umbrella stand. Its exceptionally crafted shape and carefully selected designs will turn a rainy day into a precious artistic experience. Details — colour: black and white on sponged yellow, height: 57cm, diameter: 26cm.